I love this original typography illustration print from Whimsical Lane on Etsy. 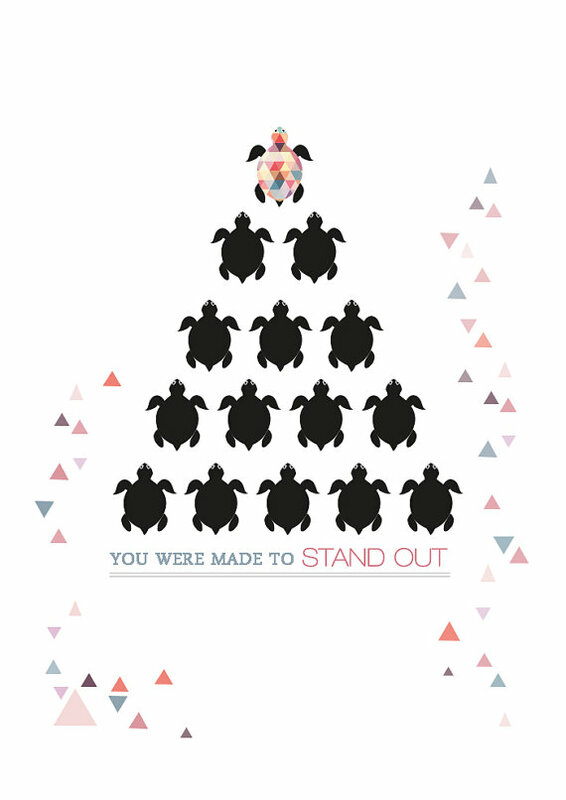 Good thought to start the week and a reminder that we are all made to stand out! Turtles have been an inspiring symbol for me since I met my husband and he shared his mother's turtle collection with me. She collected turtles because they are the only animal that can only move forward. They can't go backwards. What an inspiring metaphor to apply to our view on life! I have several of her turtles in my office and always think of this when I look at them. It certainly puts my mindset on the right positive track!